The Global Stone Congress (GSC) has become the principal technical-scientific event in the world of natural stone. Aimed at professionals across a range of subjects and disciplines, connecting geologists with architects, quarry owners with engineers, the GSC seeks to share knowledge and discuss the challenges of the sector's development. The 6th edition will occur in the city of Ilheus, Bahia, Brazil, in April 2018. 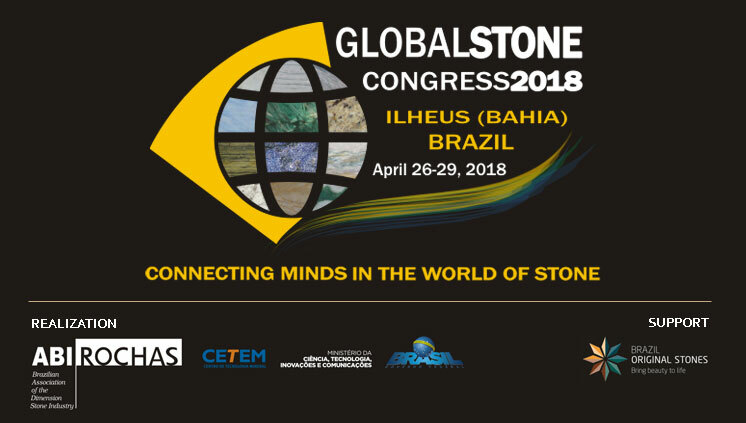 The organisers, CETEM and ABIROCHAS, warmly welcome all participants to what promises to be the most significant Global Stone Congress yet!